One of Italy's deputy prime ministers could be trying to regain some of the electoral support lost to his louder coalition partner through a meeting with leaders of France's so-called yellow vest movement, which led to France withdrawing its ambassador to Rome. Here's a useful political rule of thumb: The more inflated the rhetoric, the less serious the crisis. "From today, the Alps have become higher," said an op-ed piece this week in Italy's la Republicca newspaper. "The Italian government has made a series of outrageous declarations. Their latest interference is a provocation and unacceptable," the French Foreign Ministry said. "This is the worst crisis since the declaration of war in 1940. We can offer little in response to this gallic vengeance served cold," Lucio Caracciola wrote in a commentary in la Republicca. This is France and Italy, supposedly friends and neighbours, engaged in verbal warmongering. And what actually has happened? The French have withdrawn their ambassador to Rome because the Italian vice-premier met leaders of the "gilets jaunes" (yellow vests) in France last Tuesday and backed their anti-government movement. Not surprisingly, the Italians have won the exaggerated rhetoric competition. The "higher" Alps alone guaranteed that. But the French hold more political cards. Read the anguished editorial of the respected Italian newspaper, Corriere della Sera: "What is happening to Italy? The economy is in trouble, children are no longer being born and the political vessel is navigating without instruments. Italy has much more to lose in this confrontation, having chosen disdainful isolation at a moment when relations between Paris and Berlin are becoming much closer." Beneath the rhetoric there is genuine anger, particularly at the top level in France. President Emmanuel Macron has been severely wounded by the weekly demonstrations organized by the gilets jaunes. His popularity has plummeted and he has been forced to jettison unpopular new taxes in the wake of a spontaneous uprising that started in the countryside. The demonstrations continue every Saturday, accompanied by brutal clashes between police and demonstrators, and ever-louder cries of "Macron resignation" and even "revolution." Macron has partially succeeded in clawing back the initiative, and a bit more popularity, with an exhausting series of meetings with mayors and local officials in what he calls "a national debate." 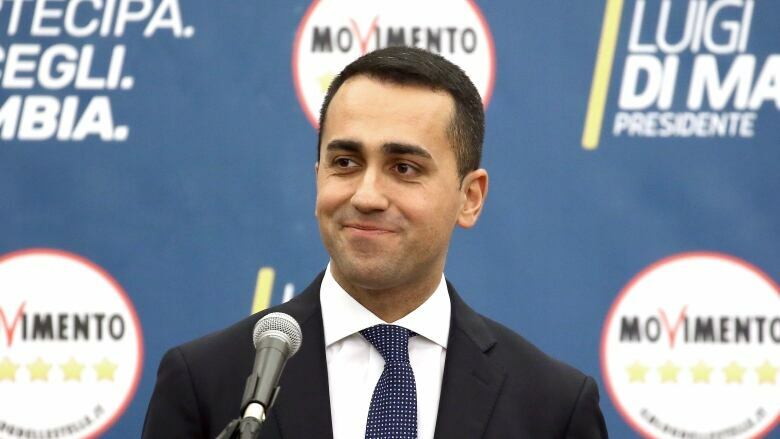 For the populist Italian vice-premier, Luigi Di Maio, to come to France to meet gilets jaunes leaders on Feb. 6 was seen by the French government as a form of political sedition aimed directly at undermining Macron's precarious position. "Di Maio didn't come to see just anyone in France," a senior French official told AFP. "He met Christophe Chalençon, an insurgent who is calling for civil war." Thus the recalling of the French ambassador, a diplomatic move without precedent since 1940 when fascist Italy entered the Second World War against France. The message was: This is no longer business as usual. Di Maio may, in fact, be perversely pleased by this crisis. He is a key figure in an unstable two-headed government. He leads the Five Star Movement, one of two extreme populist parties that came together in coalition after toppling the established political order in national elections last year. The other party in government is La Lega — the League — and its leader, Matteo Salvini, is now Italy's interior minister and a loud and controversial voice against refugees and almost all forms of immigration. He has turned back boats that have rescued refugees in the Mediterranean, demanding other European countries take in these people. It's been a wildly successful political formula. In the elections last year, the Five Star Movement won 32 per cent of the vote. The Lega won just under 18 per cent. Now the opinion polls show the reverse, with the Lega at 34 per cent and Five Star at 17 per cent. This is important because in May, elections for the European Parliament will take place. The parliament doesn't wield huge power, but the vote is a key political snapshot, particularly in Italy, where it could lead to the collapse of the coalition and new national elections. And so Di Maio has been trying to surf a populist wave of his own. For several weeks he has been blogging and urging the gilets jaunes not to give up. As he explained to the French newspaper Le Monde, "I'm not surprised that the French people show considerable signs of malaise in the face of the dismantling of some of their rights. That's why I wanted to meet the 'gilets jaunes.' I don't think the future of European politics lies in right-wing or left-wing parties." 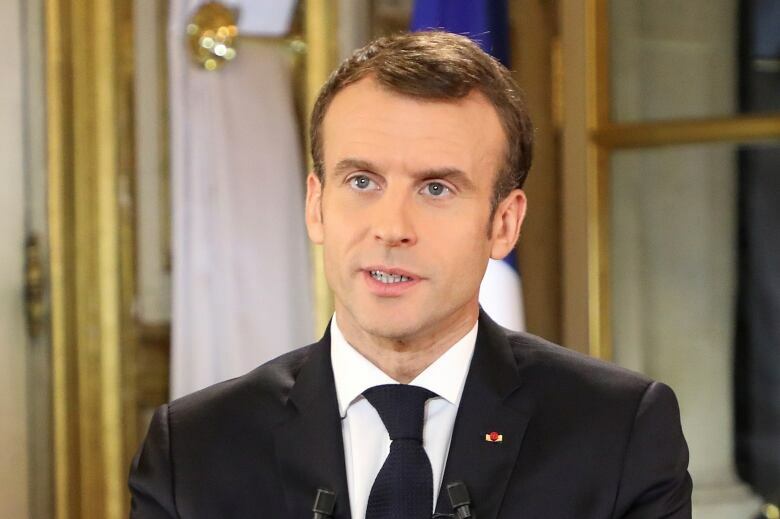 By not backing away from his provocative stance in the wake of the reaction of the French government, he hopes to claw back some of the electoral support lost to his louder coalition partner. Macron has hardly endeared himself to Italians with his brutal dismissal of its leaders in the last year. He referred to the spread of "the leprosy of populism," seen as a clear reference to the two populist parties now in power. On Jan. 29, he said, "Italy deserves leaders worthy of its history." In return, Salvini, the Italian interior minister, said on his Facebook page in January that Macron is "a very bad president. He governs against his people!" The French attitude to refugees and migrants infuriates the Italian government. It says that since 2017, the French government has tightened border controls and turned back 60,000 refugees and migrants, forcing Italy, which has already received hundreds of thousands, to take care of them. Macron and his government, it says, are hypocrites. And also good targets in the run-up to the elections for the European Parliament. Well, the Italian prime minister, Giuseppe Conte, is already calling for calm. In this he has an unlikely ally — Matteo Salvini. The day after the French recalled their ambassador, he invited the French interior minister for talks in Rome. "Our two countries have long enjoyed solid bilateral relations," he said, "particularly concerning security, terrorism and immigration." A French expert on Italy, Sébastien Maillard of the Jacques Delors Institute, dismissed the crisis with a shrug. "France has sometimes had difficulty taking seriously these Italian outbursts. They're just seen as theatre. But the farce has gone on long enough and she wanted to show that there is a limit to her patience." "La commedia" is not quite "finita." But it seems probable the Alps will soon shrink back to normal size.